~ dubbhism ~: Noah's Ark ~ just another boat or hi tech alien spaceship? Today, we are proud to present the first results of a very special dub science project. After years of bible research, rigorous testing in the lab and some field research on various mediterranean beaches we are ready to reveal the final secret of Noah's Ark. 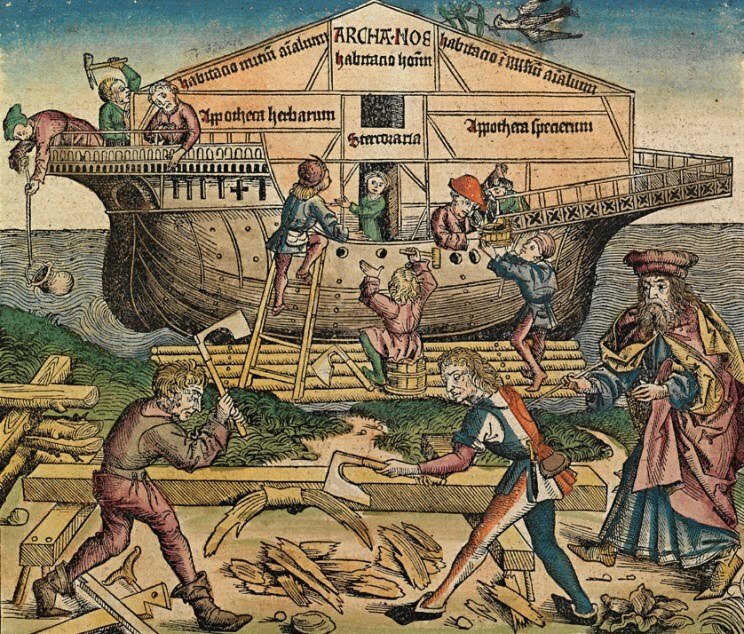 Was Noah's Ark really a 'Leidsche Fles'? For centuries there has been speculation about the true nature of Noah's ark. Was it just another wooden boat with lots of animals on board? Or is it a cleverly disguised story (creation myth) about the beginning of life on earth, suggesting that all of this really happened with a little help from alien friends and their spaceship technology? Here are some facts from the bible: the ark was made of acacia wood (sittim) and both the inside and outside were covered with gold. Every physicist can tell you that the use of gold actually turns the ark into a Leidsche Fles (Leyden jar). Therefore the ship was actually a very deadly machine, and the bible says so too. There are many deadly accidents (Lev. 16: 2). The sons of Aäron, Nadab en Abihu were killed by a big fire (Lev. 10:1-2). Also Uza tries to stop the ark and dies (2 Sam. 6:6-11; 1 Kron. 13:9-14) and many more were killed while looking at the ark. But there's more. The Levites faced major technical problems when they tried to handle the ark with metal objects as "the fire had a destructive power". (Ginzberg, Legends of the Jews, III 228-229). Also, it's a well known fact that electro-static objects sometimes produce a humming sound. The bible also mentions this (Ex. 23: 28). 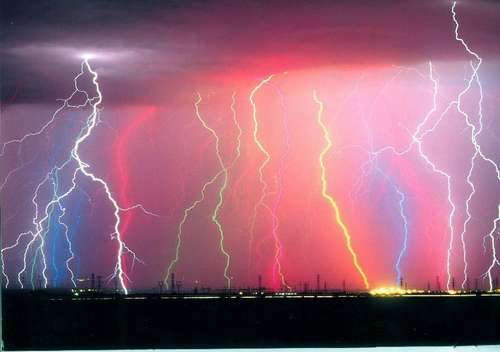 New calculations prove that the ark could produce voltages of well over 500.000 volt. That's a LOT more than Peter Tompkins claims in Secrets of the Great Pyramid  p. 278. But under the right circumstances (thunderstorm!!) the voltage could be much higher still, as was proven very clearly by Nicola Tesla in 1881 (John J. O'Neill, Prodigal Genius, 1944, 91ev; Kenneth M. Swezey, Science [May 16, 1958]). Again, this shows that Noah's ark was in fact (at least potentially) a deadly and hi tech weapon of mass destruction. Was Noah's ark an alien spaceship? Now we can finally turn our attention to the real question: how can we explain the use of this extremely advanced technology in the times of Noah? 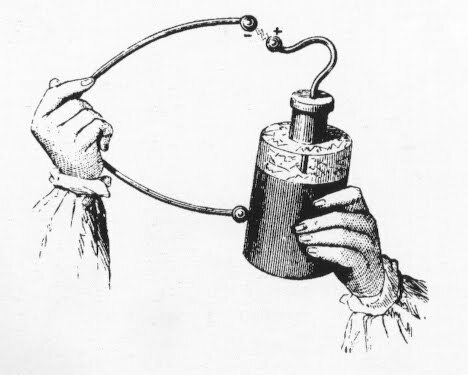 After all the Leyden jar was (re)invented independently by German cleric Ewald Georg von Kleist on 11 October 1744 and by Dutch scientist Pieter van Musschenbroek of Leiden (Leyden) in 1745–1746! The answer is obvious if you interpret the story of Noah's ark as a kind of creation myth. Combining all of the evidence we have collected and presented here, we conclude that Noah was in fact a hi tech alien from outer space who helped to preserve life on earth with his golden spaceship. So now we have some new questions: why has this story never been told? Who is trying to keep us in the dark? Why have the Egyptians never told anyone about their lightbulb technology? These are all important questions but watch out, the real answers might shock you!